Johannesburg - Dan "Ndivhiseni" memorial service will be held at the Bassline, Newtown on 11 January 2019. He will be buried on 18 January 2018 at Wespark Cemetery. Details for the funeral venue will be communicated in due course. The Dalom music founder, who died in South Africa at the weekend, will be laid to rest in Soweto on Saturday, family spokesperson, Moudy Mudzielwana has said. Tshanda succumbed to heart failure and was pronounced dead on arrival at the Sandton MediClinic on Saturday afternoon. Mudzielwana yesterday told NewsDay from Johannesburg that the Dalom music icon would be laid to rest in Soweto. "We are working on the burial arrangements as we speak. We would like to lay him to rest in Soweto on Saturday. We will finalise everything once all the family members have arrived," he said. According to Mudzielwana, Tshanda was born on January 28, 1964 in the Matangeni area of Venda. He then moved to Chikowelo near Thohoyandou before shifting base to the Tshiawelo in Soweto. Tshanda launched his music career in 1985 when he formed his first group, the Flying Squad, which released the inaugural album titled Mr Tony. 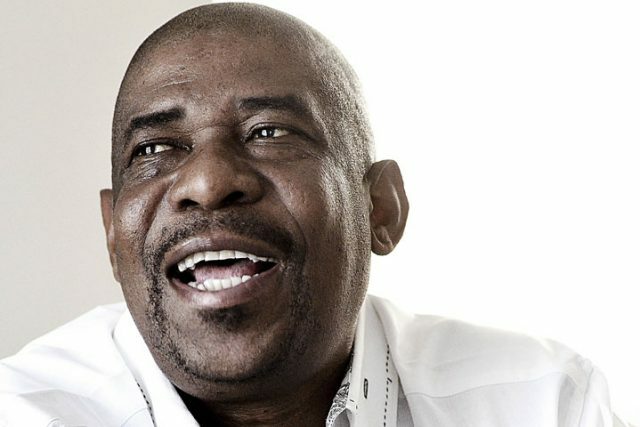 He worked with the likes of Ray Phiri of Stimela before launching the Dalom Music stable where he worked with Patricia Majalisa, Dalom Kids, Peacock and Matshikos, among others. Under the Splash label, Tshanda went on to produce hit albums such as Eye For An Eye (1990), Why (1994), Cellular (1995), and Double Face (1997). He also produced albums such as Ndivhuwo (2001) and Sethopha (2003). In 2009, The Big Husband, as he was affectionately known, Tshanda released his double album titled Tolovela. In 2014, Tshanda made waves in the music industry when he released the album Delele. One of his recent albums contained hits such as Mudzunga, Bayekele, with the hit of all time coming from his collaboration with Botswana-based artiste, Vee, with whom he produced the popular hit track Siyazenzela.